Canes Lions, considered as the oscars for the ad agencies, witnessed top creative marketing and advertising agencies coming together on 24 June 2017. The medals are awarded with Grand Prix being the highest honour, then Gold, Silver and Bronze in higher to lower order. India brings home 40 metals this year compared to 27 metals last year. McCann Worldgroup India was awarded highest from the country winning a total of 15 metals along with a Grand Prix. 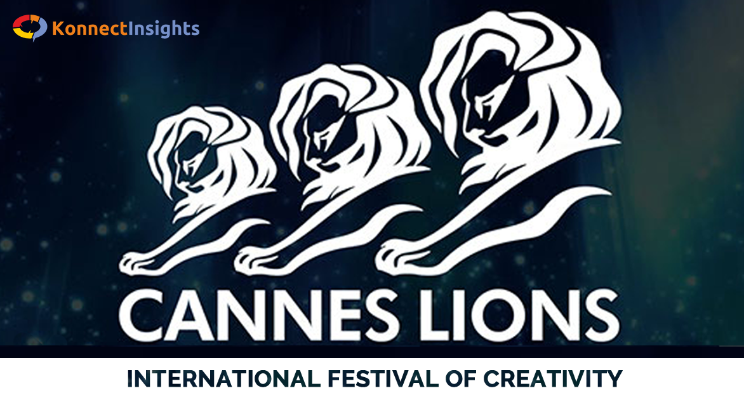 Contrastingly Publicis Groupe announced that they are sitting out the Cannes Lions festivals next year including all other award and trade shows. Generally participating in the Cannes requires money flowing from deep pocketed clients. But today clients are more interested in return on investment and a different type of network. The main reason for this development is digital. Digital is taking away a large chunk of the total ad spending. They find poor return on their investment from traditional media campaigns. The marketing dynamics is changing as consultancies and creative agencies converge. Clients are expecting better coordination between marketing and business performance. Even though overall entries were down by 4% this year Ogilvy invested in them to serve as a powerful recruiting tool to attract up-coming talent. As always Canes Lions was flooded with creativity this year, 2017 too. Droga5, New York wins Cyber Grand Prix for Did You Mean Mailchimp? Mailchimp collaborated with Droga5, New York to create this campaign in a very original way. The campaign was born out of their great understanding of how the search engine works. They said “Hi” to the world with 9 uniquely engaging experiences with unrelated but rhyming brand names with “MailChimp”. They created 3 short films for cinema goers named MailShrimp, JailBlimp and KaleLimp. They created a musical instrument app made entirely out of whale noises called WhaleSynth. Then they put together VeilHymn which is a musical collaboration with Dev Hynes and Bryndon Cook that gave rise to a hit single and a hot music video. They gave nail art influencers a platform to battle for the title “NailChamp”. They created Hair and beauty trends like the HairCrimp and SnailPrimp. Then they invented FailChips, an actual snack food made from crushed potato chips of about 200K bags that they gave away. They dropped amazing things in different parts of culture waiting for influencers to pick them up. They knew if you made unique stuff then people will search for it on google and with google asking “Did you mean mailchimp?”, would make their way back to MailChimp. The iconic Fearless Girl statue in New York City, which was commissioned by State Street Global Advisors partnered with McCann New York, took the Titanium Grand Prix at Cannes Lions. The Inspiring statue of a young Latina, looking at Wall Street's Charging Bull took the prize in the integrated category. Fearless Girls also won Glass Grand Prix, Outdoor Grand Prix and PR Grand Prix. Boost Mobile collaborates with 180LA, Santa Monica for Boost your voice campaigns which wins Integrated Grand Prix and Promo & Activation Grand Prix. Considering the shortage of polling places, Boost converted it’s mobile stores into voting stations. This gave low-income and minority voters who face longer lines an easy access to voting stations. RBK Communication, Stockholm wins Cyber Grand Prix for Aland Index / Baltic Sea Project. The Bank of Åland collaborates with RBK Communication, Stockholm to create an Aland Index and the Baltic Sea Project. Aland Islands is located in Baltic Sea which is the most polluted sea in the world. Purpose was to engage all clients as agents for change address the polluted sea. The Aland Index calculates the environmental impact of every transaction. The bank then sends a monthly impact report of the credit card purchases and the opportunity to compensate for the true cost of consumption. PR, Digital, Direct and Social Media channels to activate and engage clients, public and competition. This campaign has reached 350 million people, completed 2.57 million transactions in Q1 and increased brand awareness by 308%. Ogilvy & Mather Johannesburg won the Grand Prix for 'The Sad Man Meal' — a trio of KFC advertisements. In the melodramatic ads, people are mourning KFC's limited Double-Down Meal going off the market. Directed by Blink, the ad features the differently-abled performing extra-ordinary tasks. The film was released in tandem with the 2016 Paralympics and had some 140 individuals displaying exceptional grace and courage. The film aimed to start a new dialogue about disability and the representation of the differently-abled. The Ministry of Public Health, Afghanistan collaborates with McCann Health, New Delhi and McCann Workgroup India, Mumbai to create the Immunity Charm Campaign. According to the tradition a bracelet is worn by Afghan’s new born babies as a lucky charm to protect them from evil forces. This bracelet was used with coloured beads with each colour representing a specific vaccine. Once the doctor gives a vaccination to a child, he adds the corresponding bead to the bracelet. The baby’s immunisation history is worn by the baby. Burger King, working with ad agency David, Miami used Google's voice technology to its own advantage. Its ad features a guy holding a burger and saying: "You're watching a 15-second Burger King ad, which is unfortunately not enough time to explain all the fresh ingredients in the Whopper sandwich, but I got an idea. Okay Google, what is the Whopper burger?" Google Home reacted by reading out the Whopper's Wikipedia entry, and the spot got media coverage way beyond expected. DigitasLBi, Chicago wins Creative Data Grand Prix for Care Counts. Whirlpool worked with agency Digitas LBi. They installed washers and dryers into schools across the U.S. Machines were able to track usage for each student and relate that to their school attendance, and there was a 90 percent improvement in the attendance of students in the program, which won a Grand Prix at Cannes Lions. Leo Burnett, Chicago wins Creative Effectiveness Grand Prix for Van Gogh Bnb. Art Institute of Chicago collaborated with Leo Burnett Chicago created an interactive experience with Airbnb. To help people get closer to the artist Van Gogh they invited them to spend a night in his room. Van Gogh’s 1888 Bedroom painting was recreated and made available to everyone on Airbnb. They also told the world that Van Gogh’s bedroom had come to the Art Institute of Chicago.